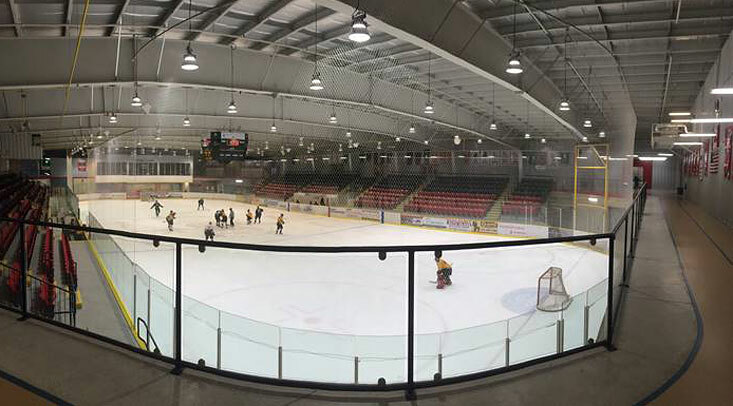 A past newsletter featured the amazing transformation of the Picton hockey arena in Prince Edward County. You can see the project for yourself in the video posted online. In the video, Lisa Lindsey and Richard Lightfoot from the County share the results along with LI’s own Mike Walker. 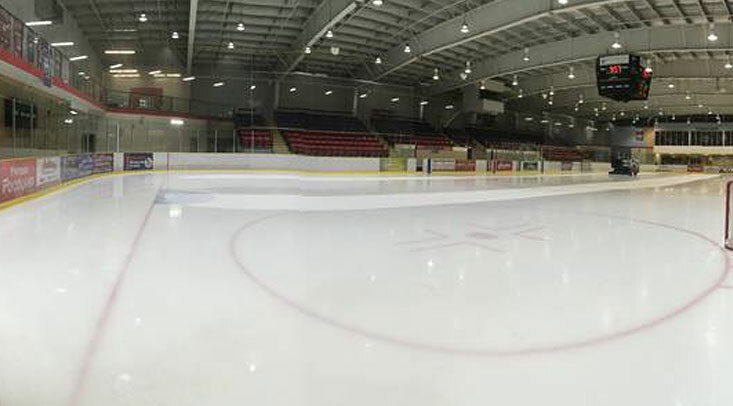 The success of that project has led the County to accelerate the lighting upgrade of a second, newer ice arena. 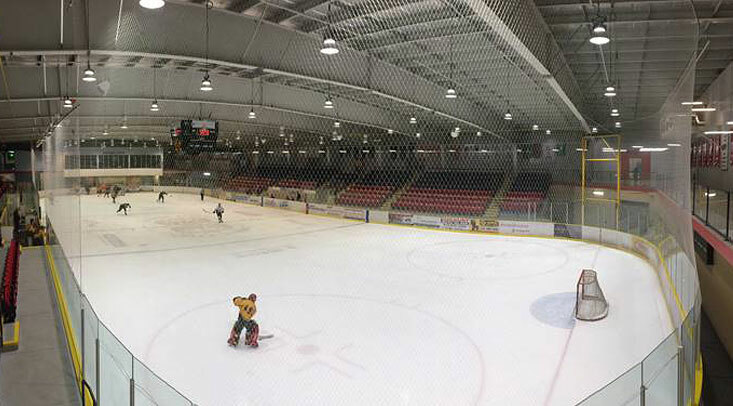 The Essroc Arena AKA New Duke Dome located in Wellington, Ontario is just 5 years old, but the County has learned that it can’t afford to wait until the arena’s 72 light fixtures burn out to have them replaced because both the savings and quality are so dramatic. 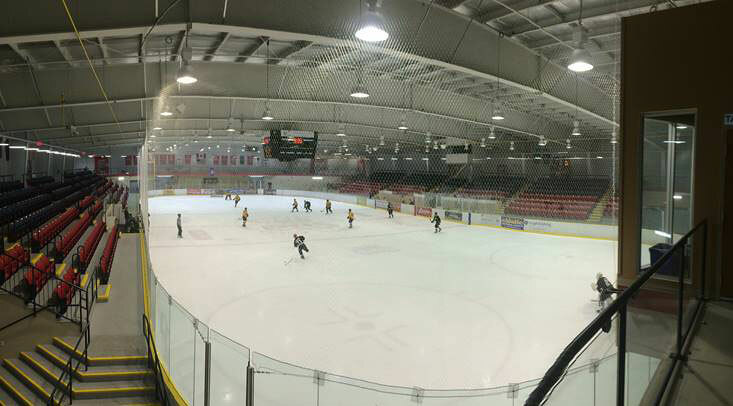 The new lighting features an infinitely dimmable system that is important to the presentation of figure skating performances, with brightness levels and natural color quality to meet the rigorous standards for high-definition television broadcasts of Wellington Dukes hockey league games. The Wellington project includes the retrofitting of 72 ice pad metal halide high bay fixtures from 458-watt to 200-watt LEDs plus 500 LED lamps in dressing rooms and perimeter walking track. The upgrade earned a saveONenergy utility rebate of over $10,000.